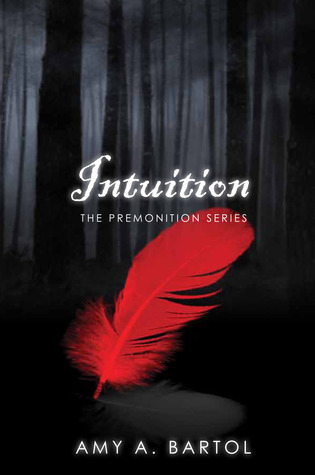 This week's Swoon Thursday comes from the second instalment in the Premonition Series, Intuition by Amy A. Bartol! I am currently on book three and am still loving every single second I get to spend in Evie's world! I don't have more than a fraction of a second to wait as I am swept up off my feet and carried further out into the water by Reed. When he is waist deep, he slowly lowers me into the water again, allowing my body to slide down his until his feet reach the sand beneath us. I melt against him as he nibbles my ear and tugs on it gently, making my whole body ignite from the core. "I can't fight you," he says effacingly. "I can fight everything but you. Evie...if I begin to hurt you, you must stop me..." he begins to say. "Shh...a little pain is nothing compared to the pleasure of being with you," I whisper in his ear as the fog gathers around us, hiding us from the water's edge and I can believe, in this moment, that we are the only two beings that exist in the world. Slowly, Reed gathers me to him as the heat from his lips press to mine, stirring passion in me that is like an inferno. His lips break from mine as he brings them lower to my neck, and then to symbol of him branded to my skin. He presses sultry kisses into the image of his wings, making my fingers cling to the muscles of his back. He speaks to me in Angel with his lips still pressed to my skin, making me feel beautiful in a carnal way that I have never felt before. Raising my head back up, I capture his head in my hands, entwining my fingers in his damp hair. "What did you say?" I whisper in his ear. Reed's cheek brushes mine as he gently strokes my hair, and then he says, "I was telling you that I have waited for you to come to me for an eternity. You set me free and I would wait for you forever because there is nothing about you that I would change...you are perfect." And that's all for today bookworms! If you haven't read this series yet then I highly recommend it- I can definitely now classify myself as a Premonition Series addict ! Have you read Intuition? 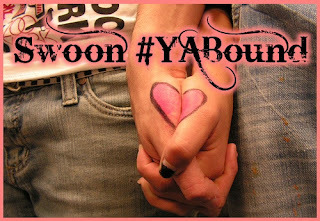 What did you think about this week's swoon? Be sure to let me know in the comments below! Keep Reading! Check out my Swoon Thursday for the first book, Inescapable! I love this series. Evie and Reed are just so hot together. I agree- they're simply incredible! I can't get enough of them! !